In case you've been living in a cave the past couple of weeks, it's time to peek out and smell the strawberries. 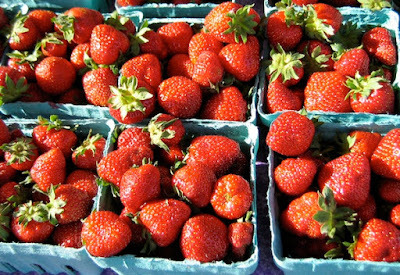 Or, as Josh Alsberg of Rubinette Produce said, "Strawberries are in full effect," though he adds that for Oregon's beloved native strawberries, whose season lasts for a couple of weeks at most, "Hoods are going to be over in a minute-and-a-half, so if you haven't bought them yet, go now." 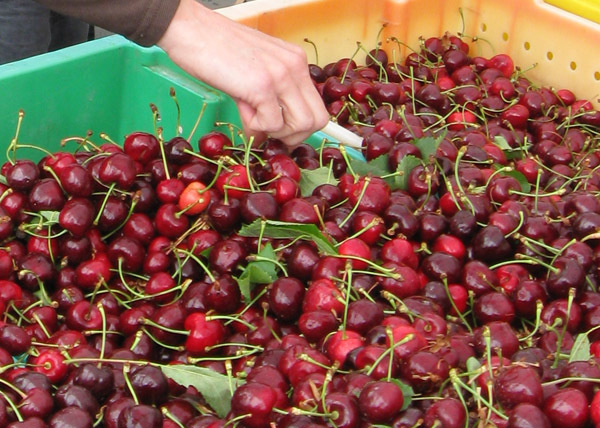 In the parade of local fruit that will soon be marching down farmers' market aisles, cherries are followed by blueberries, which will be appearing in mid to late June. Alsberg recommends holding off until then, since many of the early blueberries in stores now aren't fully ripe and won't be until they get some significant sun. 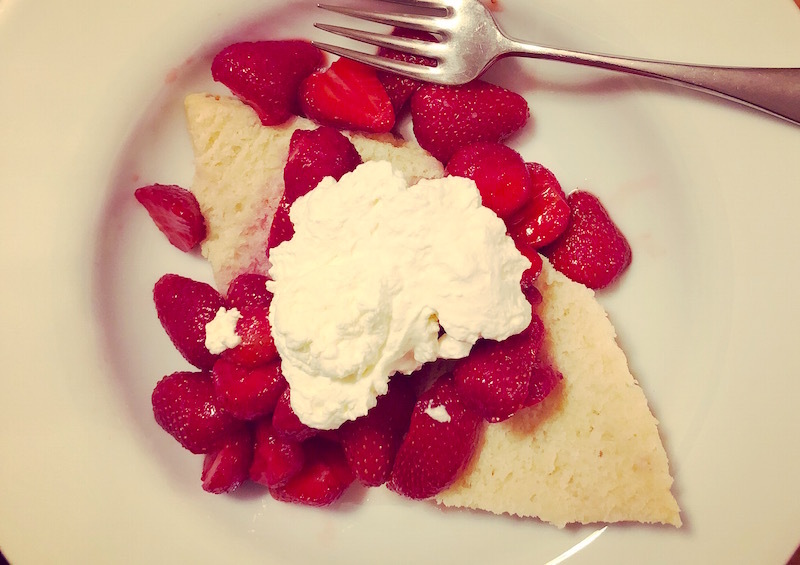 Raspberries will be arriving shortly thereafter, followed by the rest of the cane berries like tay, loganberries and blackberries, which will all arrive by the fourth of July. 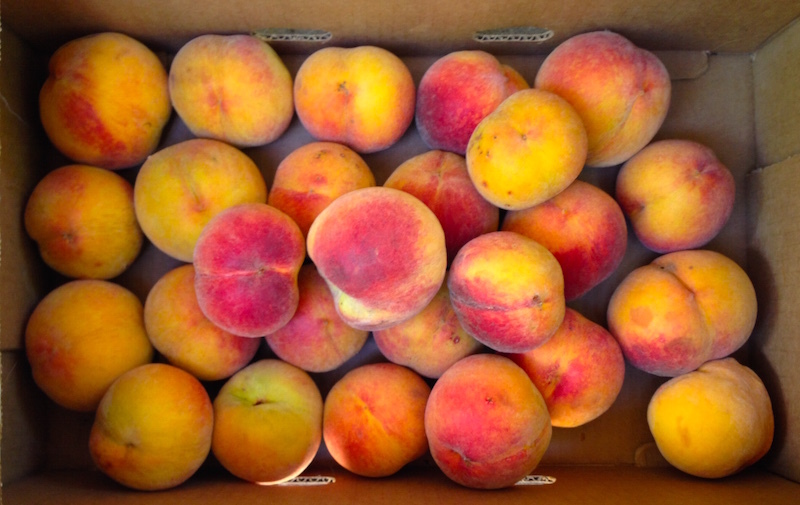 July 4th also signals the beginning of peach season, which Alsberg also recommends getting from farmers' markets rather than at the supermarket. Farmers will be happy to provide samples for you to try as well as to talk about which varieties are the best for fresh eating and using in pies and preserves. Apricots and nectarines will be available before the end of June, preceding peaches by the slightest of margins. Call it nature's way of whetting your appetite. 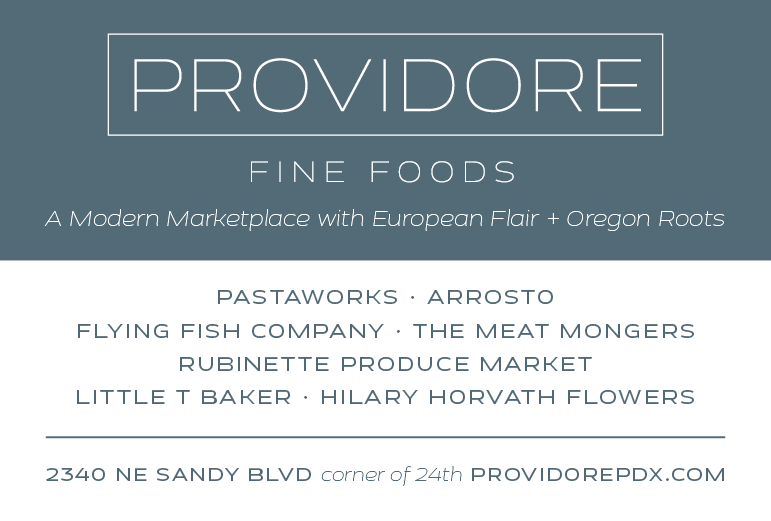 I don't want to lose summer vegetables in the excitement over fruit season, since there's a boatload of local produce ready to cascade onto our picnic and dining tables this summer. Favas, asparagus and peas are dwindling, as are spring onions and some of the bitter greens like mustards and mizuna, so Alsberg recommends getting them ASAP. Local lettuce is coming on strong, with leaf lettuces, Little Gems and butter lettuce available in abundance through July. Spring roots like radishes and spring turnips will stick around until it gets hot, most likely through much of July. Get your local corn on. 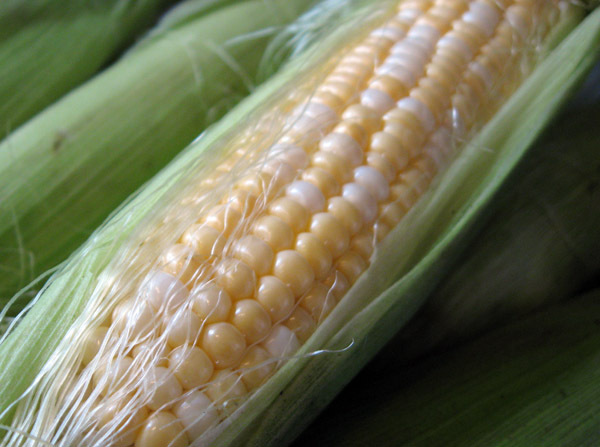 July will also bring local corn, along with the new crop of potatoes, fennel, cabbages and brassicas. Cucumbers, especially the seductively flavorful Persian variety, will start appearing along with their cousins meant for slicing and pickling. No summer would be worthy of the name without summer squash, so get ready to barricade your porch swing from your neighbors' giant I-forgot-to-check-the-garden-today zucchinis. Count on melons, figs and grapes to be rolling in later in July. So get to the gym and start working out with your market basket to build those upper body muscles. Summer's here! Watch Josh wax eloquent over local strawberries.